إن فندق إيه إي إيه ذا كوجي فيو للشقق الفندقية بموقعه الممتاز في هذه المنطقة السياحية هو نقطة انطلاق جيدة لنزهاتك في هذه المدينة المذهلة. يسهل الوصول إلى هذا الفندق ذو 4 نجوم من المطار، فهو يبعد عنه مسافة 12 km فقط. يوفر العقار بفضل موقعة الجيد وصولاً سهلاً إلى أهم معالم المدينة.
. يقدم إيه إي إيه ذا كوجي فيو للشقق الفندقية خدمات لا غبار عليها وكل أشكال اللياقة وحسن الضيافة اللازمة لإسعاد ضيوفه. يقدم الفندق فرصة للاستمتاع بشريحة واسعة من الخدمات بما فيها: تخزين الأمتعة, صف السيارات, مرافق للشواء, خدمة غسيل الملابس, مقهى . تنعكس أجواء إيه إي إيه ذا كوجي فيو للشقق الفندقية في غرف الضيوف.تلفزيون بشاشة مسطحة, سجاد, بياضات, مناشف, غرف لغير المدخنين هي بعض الميزات الموجود في العديد من الغرف. سواء كنت من محبي الرياضة أو كنت تتطلع لتفريغ عناء نهار صعب، ستجد خدمات ذات مستوى عالي بانتظارك كمثل مسار جولف - ضمن 3 كم, صيد السمك, ملعب للأطفال, حديقة. إن إيه إي إيه ذا كوجي فيو للشقق الفندقية هو مكان مثالي للمسافرين الذين يتطلعون إلى الراحة والاستجمام في المدينة. 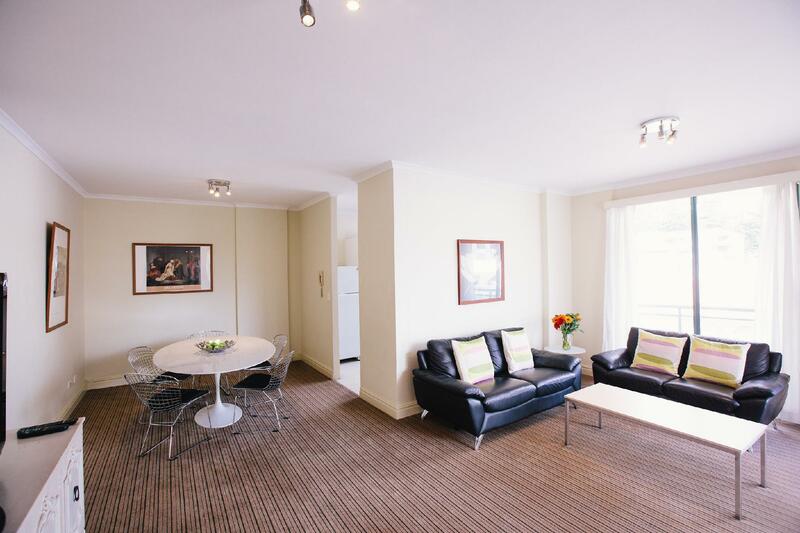 Lovely, well appointed apartment and we really enjoyed our stay. 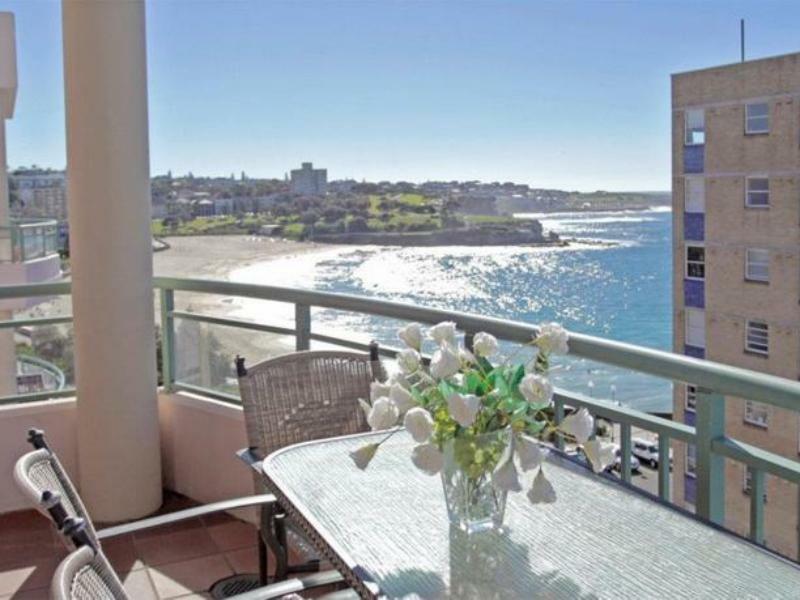 We chose Coogee View for the view and was not disappointed. However, we found the kitchen equipment poor, and meagre. We had a lovely balcony, where it would have been nice to have eaten an evening meal. We only did this once as it was quite difficult to cook with what was supplied. When I pointed out we only had one towel each in the bathroom and one tea towel in the kitchen, extra were brought but I was disappointed I had to ask. Also, only one bedside lamp in each bedroom. Several things needed attention - such as the numerous stains on the living room carpet and the cooker extractor hood. We spent 6 weeks in Australia and this was the most expensive accommodation we had, and was the least well equipped. The staff did what they could to put things right but obviously some investment is needed. Such a shame, it ought to have been fabulous! 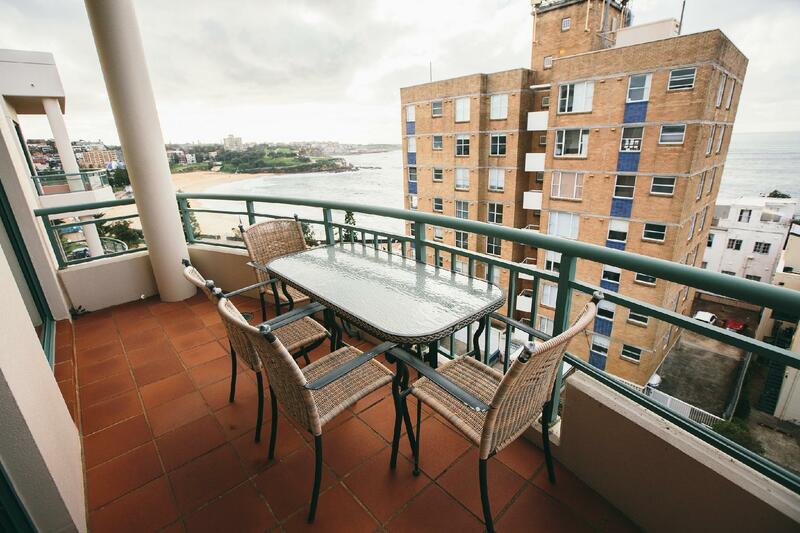 Excellent location, right near Coogee SLSC, Coogee Bay Hotel across road, plenty of coffee shops, great boutiques all within a 5 min walk. 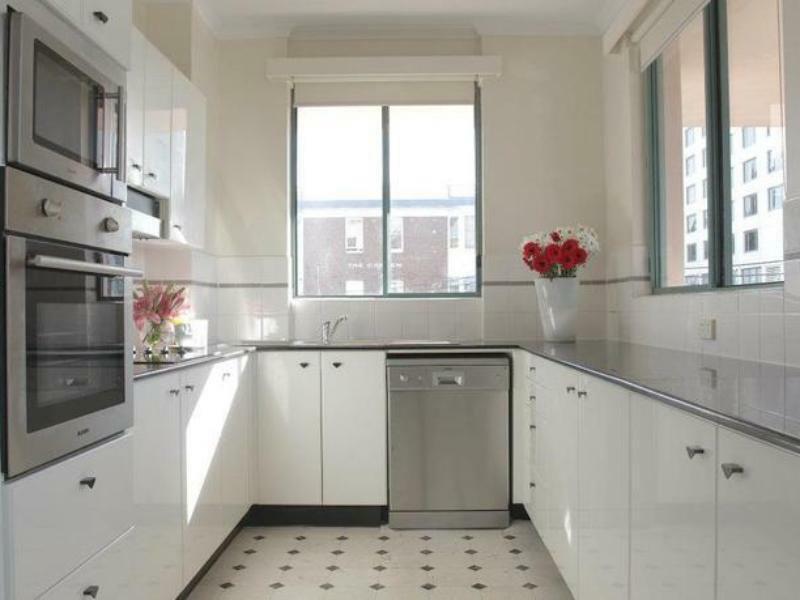 Apartment was spacious, kitchen very functional; the carpet and walls probably need an update. 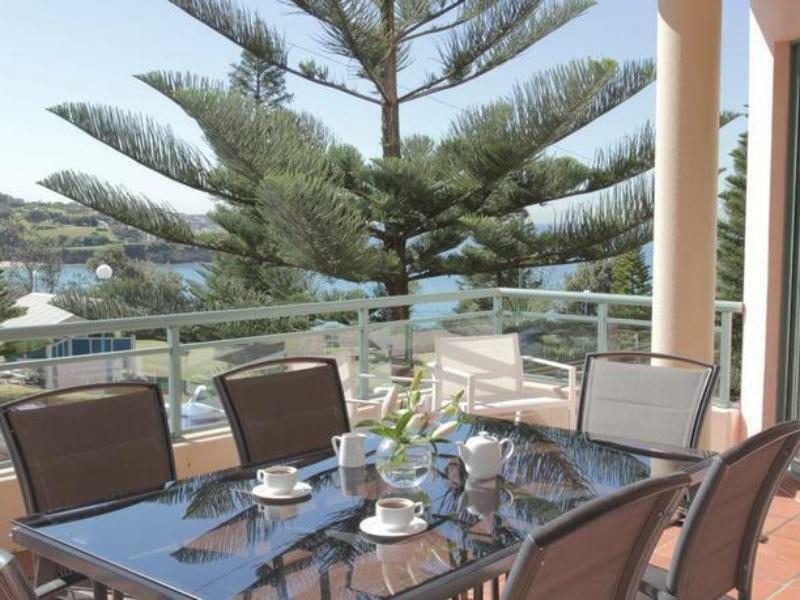 The great view across Coogee Bay was filtered thru the large Norfolk Pines. A bit of noise carried from street level on Fri and Sat night... understandable being so close to the hotel. Overall we thoroughly enjoyed our stay and will definitely be back! We stayed in the 2 bed penthouse apartment for 3 nights (Friday until Monday). Our son was being married o n the Saturday evening at Wylies Baths which is just around the corner. We were able to entertain people in the apartment on Friday night and then organise a BBQ in the park on Sunday morning. The view was spectacular and there was plenty of space. We were also very pleased with the amount of crockery, platters and glasses etc available. Yes, the apartment is getting a little tired around the edges, but the bedding and furnishings were excellent and nothing could top the position. Could do with an update, especially bathroom as noticed mould coming through tiles after a day or two. Also basin had cracks all through. Photos on website look a lot better than reality. Great sized rooms. Comfortable and well furnished. Great location, beautiful views. We all thoroughly enjoyed our stay and will be back! 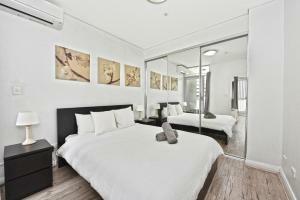 The Location made for easy access to beach, shops and buses to go to Bondi Junction, Bondi Beach or the City. The apartment building was quiet and secure. We have stayed at several other places in Coogee but this was certainly the best for our family requirements.We loved every aspect of it and thank you for contributing to our great family holiday! Our only negative is that they don't cater for short stays as we would happily use it for regular weekend escapes. Can this be considered? Location. View. Size and comfort of apartament. We had a wonderful weekend in this lovely roomy apartment. There was only one thing I could make a negative comment on (and that has nothing to do with the apartment) is the noisy traffic. Found it very hard to sleep. We were visiting Sydney with our 2 adult daughters and wanted to stay near a beach. Coogie View was awesome! It is an apartment hotel so no dining room or pool. We had a nice kitchen and were a short walk from a great grocery store and very nice restaurants. The apartment was huge and clean. Beds were very comfortable and beach view balcony was huge! Short $35 cab from international airport. Easy 25 min bus to Sydney Circular Quay. We loved it! Staff pleasant and helpful! Only complaint is no wireless but this is standard in the area. we are happy on staying here. the only thing we can complain is at checkin time. we got there on sunday afternoon. the office was closed and no one picked up the phone. we had to dial the emergency support number and paged the administration. however still waited 30 minutes before getting someone to call back. unfortunately i was not there for holidays,but for family business. 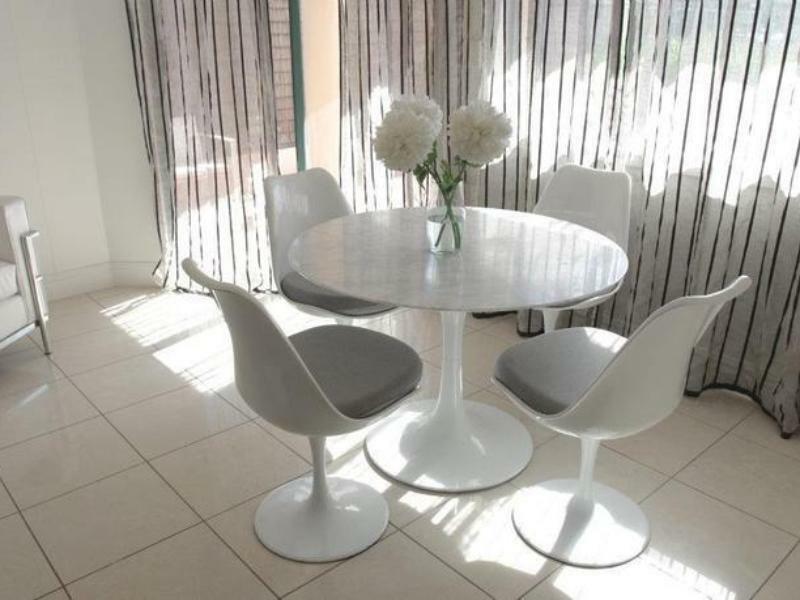 the apartment was lovely, spotless, with more than anyone needs to cater for a perfect family beach holiday. the beach was right over the road. shops and resaurants 100m away. incredible running and walking tracks to keep the most avid athlete exhausted. i could not think of anywhere in the world that would be more suitable for a family beach holiday, and i've seen the lot. just go. it's not quite 5 star. but who needs the pressure of that when the planet's best beaches are on your doorstep? 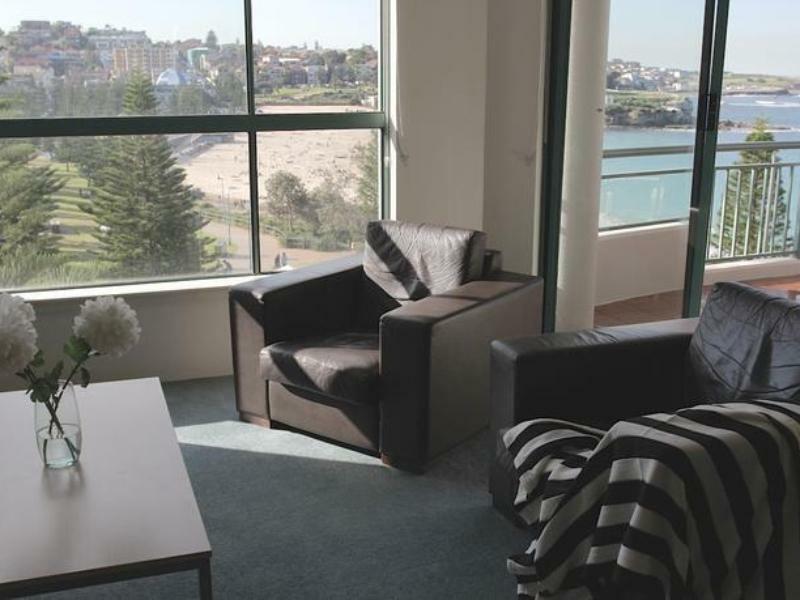 As in the past, we enjoyed our stay in Coogee and the apartment met all of our needs. Very good the only thing that was wrong was we ran out of hot water. Maybe a warning that the hot water will run out would be helpful. Also I didn't like that the price was in US dollars a lot more when it was converted.